Next up on cable channel JTBC is a bleak drama series that centers on three generations of a wealthy and powerful family. 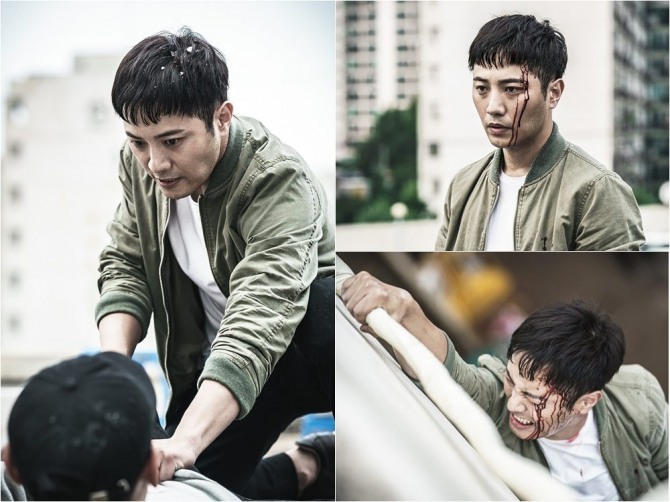 “Untouchable,” set to begin airing Friday, stars Jin Goo as Jang Joon-seo, a police detective seeking revenge on his wife’s murderer. After witnessing his father engaging in ruthless murder, Joon-seo comes to despise the immoral upper class and severs ties with his family. “There are things that we dare not open, but this is a show that bravely tackles those subjects,” said Jo. Kim Sung-kyun is to play Jang Ki-seo, Joon-seo’s brother who at once fears his cruel father and increasingly becomes similar to him in order to survive. “I tried not only to portray a man who is evil, but to explain why he turned out this way,” Kim said. Go Joon-hee plays Ki-seo’s ambitious wife Koo Ja-kyung, who feels trapped and underestimated because she is a woman. 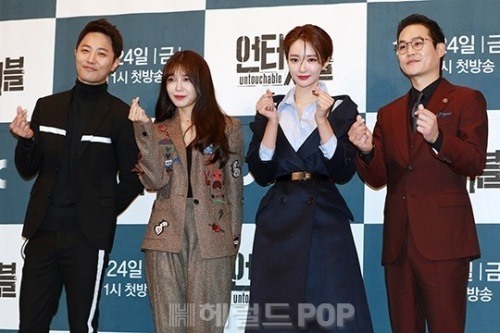 K-pop singer and actress Jung Eun-ji plays Seo I-ra, a prosecutor who becomes entangled in the affairs of the Jang family and begins to doubt the nature of power. Prior to the press event, a bomb threat was made to the Imperial Palace Hotel, the press conference venue, by an anonymous caller. Police suspect it is the same person who in the past had issued bomb threats against Jung’s K-pop group Apink. Police searched the hotel and did not discover any suspected explosives. “I hope this criminal who continues to inflict harm will be caught soon and be met with forceful measures,” Jung wrote via social media after the event.